MOSCOW (Sputnik) - Turkey is ready to respond to possible US sanctions, for example, those over Ankara's decision to purchase Russian S-400 Triumf air defense systems, Turkish Foreign Minister Mevlut Cavusoglu said. "If it [the United States] wants to punish Turkey with sanctions, Turkey will react in another way, not like Russia or other states… We will respond. You cannot threaten us. The United States threatens many countries saying 'Do not buy gas of one or another country.' That does not work," Turkish Foreign Minister Mevlut Cavusoglu told Zeit Online. "Within a year and a half, we together with Russia achieved progress — in ensuring the ceasefire regime and [the creation of] de-escalation zones — in order to find a political solution [of the Syrian conflict]," the minister stated. "Let those who criticize us for purchasing the S-400 to fight terrorism look at themselves. Why are they silent about the S-300 which Greece has? And they tell us that this is a wrong step. What kind of alliance, what kind of solidarity is this? This would fly, but not with us," President of Turkey Recep Tayyip Erdogan said in parliament. In December, Russia and Turkey signed a loan agreement on the supply of Russia's S-400 air and missile defense systems to Turkey. 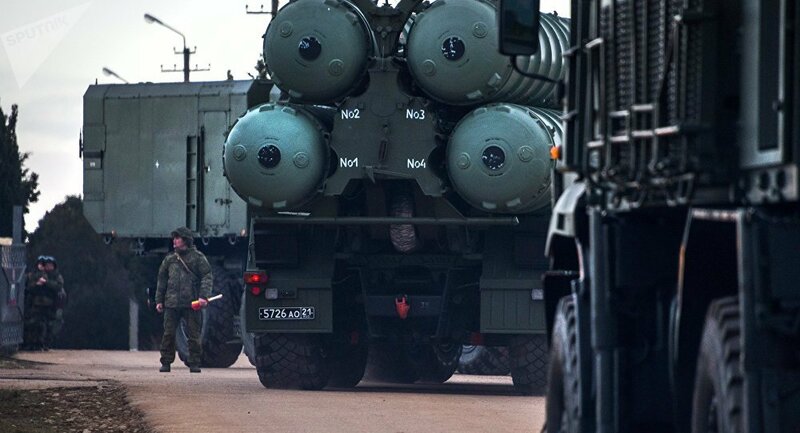 The S-400 Triumph is Russia's next-generation mobile surface-to-air missile system and can carry three different types of missiles capable of destroying aerial targets at a short-to-extremely-long range. The weapon is designed to track and destroy various types of aerial targets, from reconnaissance aircraft to ballistic missiles.